An update on the latest production numbers from the EIA along with graphs/charts of different oil production forecasts. You can browse this online resource by chapters from the paperback, additional chapters as well as Video interviews. In this ground-breaking book, leading sustainability educators are joined by literary critics, permaculturalists, ecologists, artists, journalists, engineers, mathematicians and philosophers in a deep reflection on the skills people need to survive and thrive in the challenging conditions of the 21st century. In this full online Food Inc. documentary , filmmaker Robert Kenner lifts the veil on our nation’s food industry. You’ll never eat the same. The Permaculture Credit Union pools the financial resources of people who believe in the ethics of Permaculture – care of the earth, care of people, and reinvestment of surplus for the betterment of both. We apply those resources to earth-friendly and socially responsible loans and investments. The history of financial institutions is one of focus on the bottom line which results in overexploitation of the earth’s resources. Now, an innovative new financial institution – Permaculture Credit Union – has been established to allow its members to share their excess with other members of like mind who would use it for sustainable projects and, at the same time, take care of the Earth. 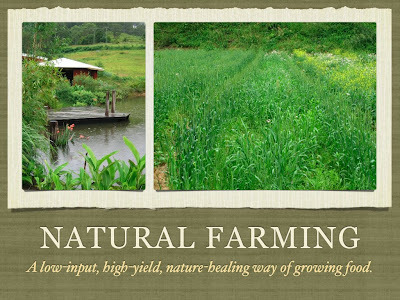 David Holmgren is author: Permaculture Principles and Pathways beyond Sustainability. Permaculture principles are brief statements or slogans – a checklist when considering the complex options for design and evolution of ecological support systems. These principles are universal, although methods that express them vary greatly according to place and situation. You can view and download the presentation here (.pdf, 4.13 MB). You can also download a version with smaller file size (.pdf, 2.73 MB, sans fancy background!). Let me know if you have any comments, suggestions, corrections, or questions. I’ll be happy to share original presentation in .keynote or .ppt format, just drop me a line. The Agroforestry Research Trust is a non-profit making charity, registered in England, which researches into temperate agroforestry and into all aspects of plant cropping and uses, with a focus on tree, shrub and perennial crops. Useful plant list can be found here.